While fans are eagerly anticipating news of Heart of the Swarm, the second single player installment of StarCraft II, the team takes a break to roll out four custom game types. We asked Blizzard's Alan Dabiri what gives. We've been posting about the various fan-made StarCraft II custom games since the real-time strategy sequel was in beta testing. This weekend at BlizzCon, Blizzard CEO Mike Morhaime revealed four official game mods being released in the coming months - the cooking-centric Aiur Chef; the puzzled StarJeweled; the co-op survival game Left 2 Die; and Blizzard's take on Defense of the Ancients, Blizzard DOTA. After being left hanging at the end of Wings of Liberty, my first question for senior programmer Alan Dabiri was why? With the player base producing their own amazing mods, why is Blizzard getting into the game? "You're right. The end-users have already been making these mods on Battle.net," Dabiri explained. "We wanted to highlight some of these ourselves; do a take on these ourselves to show the different kinds of games you can make in the StarCraft II engine. That it doesn't have to just be an RTS game." The modding community knows this. Already they've cranked out mods that transform the strategy title into a turn-based role-playing game, or a kart racer. One of the goals Blizzard has with the release of these official mods (or updates, as Luke calls them), if to let the less experienced StarCraft II players know these sorts of games-within-games are available. "We really wanted to highlight the flexibility of the engine and the things you can do, and this is such a huge part of what you can do. 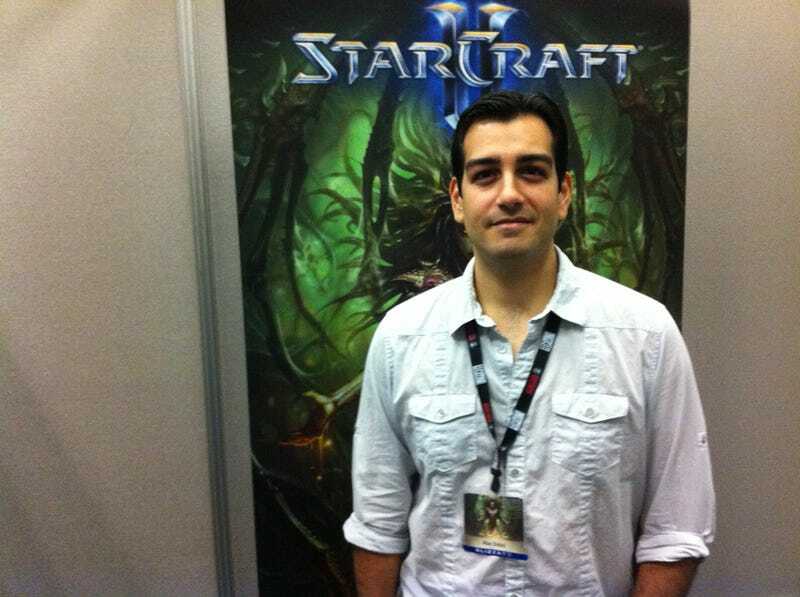 Some of these games are nothing at all like StarCraft II," said Dabiri. And while the mods may have briefly taken a little time away from the development of Heart of the Swarm, they open up a whole new side of StarCraft II to many players, giving them plenty to do while waiting for the second installment. "This is to let everyone else know that there's a whole 'nother part of StarCraft II they may not have played."